MidAtlantic DayTrips: Who Let the Dogs Out? Dog power has been used for hunting and travel for thousands of years, as the dog - human partnership deepened. My fascination with dog sledding started with being forced to read Jack London's Call of the Wild as a kid. Later on, I learned about the real life dog-hero, Balto, and how he helped save Nome from a diptheria outbreak. And of course, I simply love dogs!! Who let the dogs out? These pups were excited to get harnessed and ready to go for a run! If you're heading to the Poconos -- a winter wonderland -- then it makes sense to explore the quintessential winter sport, dog sledding! 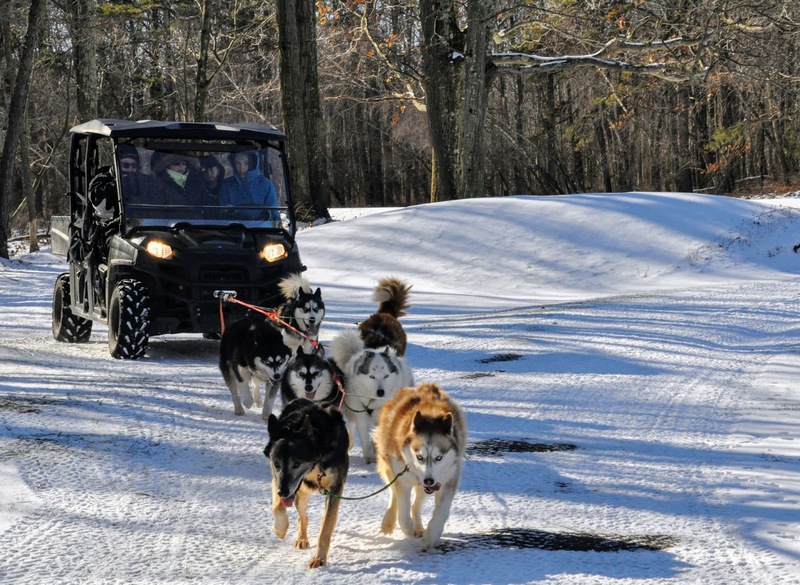 Arctic Paws Dog Sledding Tours offers either sledding or training runs -- depending on the weather of course -- for guests to enjoy. Either way, you can find yourself surrounded with fluffy, lovable, quirky huskies! If only winter had cooperated. Yes, it was a white Christmas this year in the Pocono Mountains in northeastern Pennsylvania. 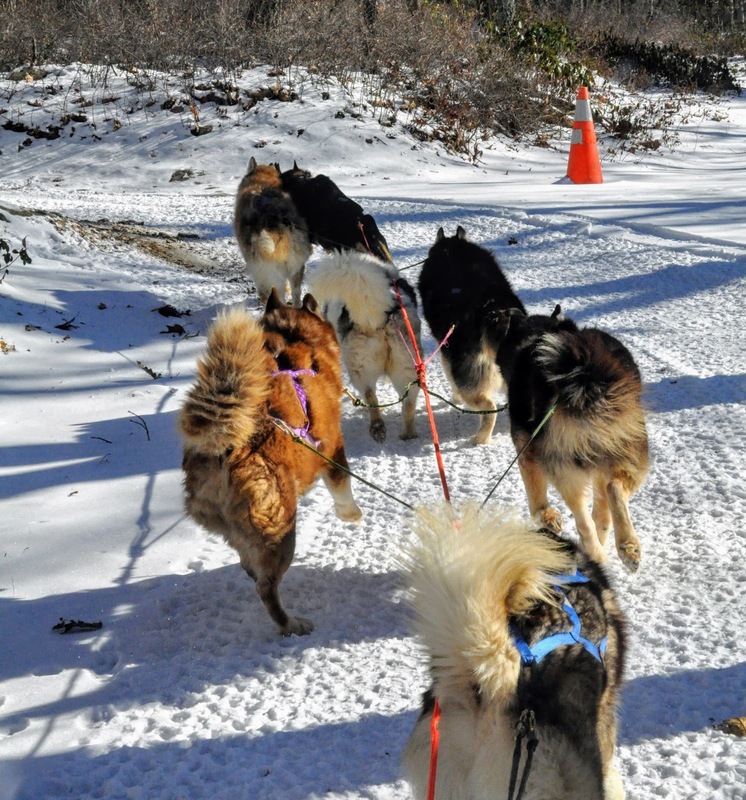 But dog sledding requires a minimum of six inches of the powdery white stuff, and there was only two or three on the ground. 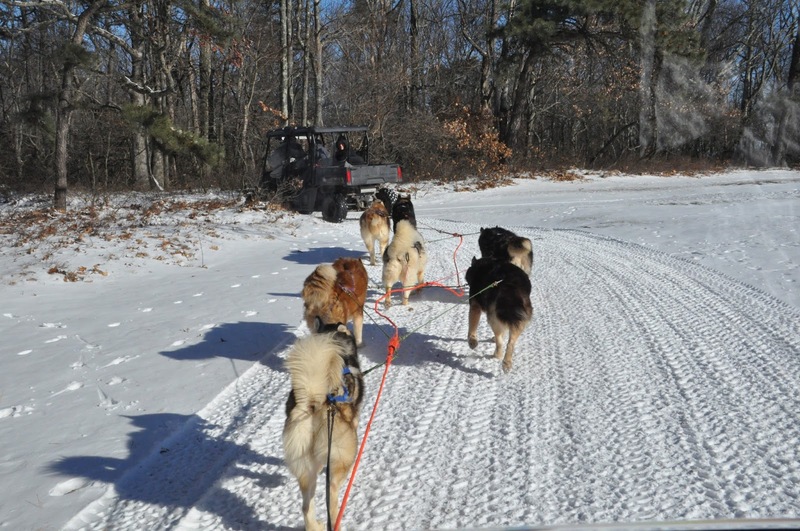 Instead, we were invited to join in a training run -- the dogs would be hooked up to an ATV, and pull that, in lieu of sleds. After we showed up, as we were watching the dogs get lined up to pull, we learned that late February and March were the best months for dog sledding in PA. I vowed I'd be back! 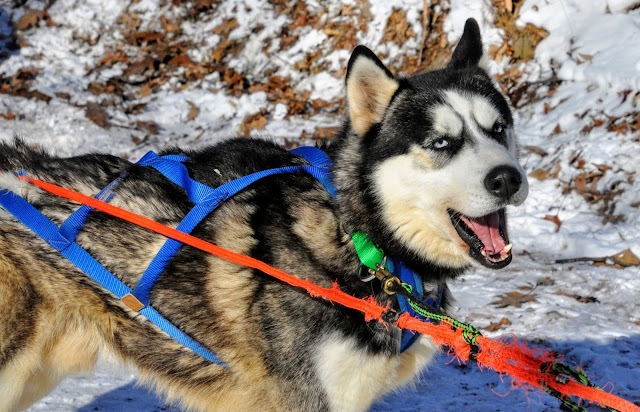 In dog sledding, Siberian Huskies or Alaskan Malamutes are the main types of dogs that are used for recreational sledding because of their strength, speed and endurance as well as their ability to withstand the cold. Dog sled teams can travel at speeds up to 20 mph, although we went much more slowly -- this was an exercise/training run, and the first of several that day. Though many breeds of dogs are used, two common breeds of sled dogs are Siberian Huskies and Alaskan Malamutes -- the dogs of Arctic Paws Dog Sled Tours are all Siberian or Alaskan Huskies (an Alaskan Huskie is a cross between an Alaskan Malamute and a Siberian Huskie). Alaskan Huskies also are popular for sled dog racing, because of their endurance, good eating habits, speed, and dedication to running. 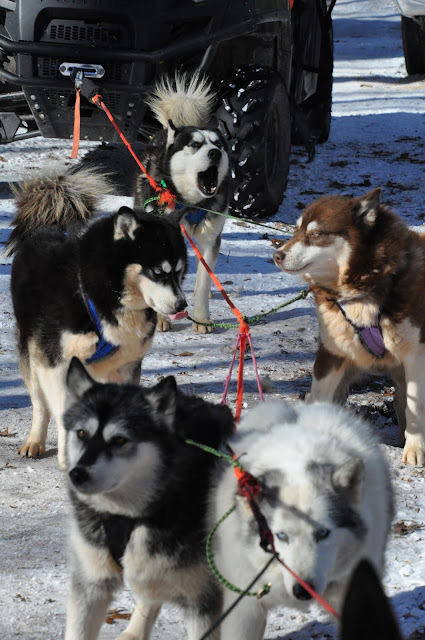 Just for comparison, today’s racing sled dogs are smaller and sleeker than the sled dogs of old, which weighed about 75 pounds. Trivia fact of the day: Dog sledding is sometimes called “mushing," and a person who travels by dog sled is called a “musher." The earliest evidence of man using dogs to pull sleighs exists in the Thule people of Canada – the precursors of the Inuits – and dates back to around 1000 CE. However, it is believed that domesticated working dogs existed in North America as far back as 15,000 years ago. For the Thule, Inuit, and Athabascan people, as well as other northern native cultures, using these dogs to transport people and goods was their daily life. 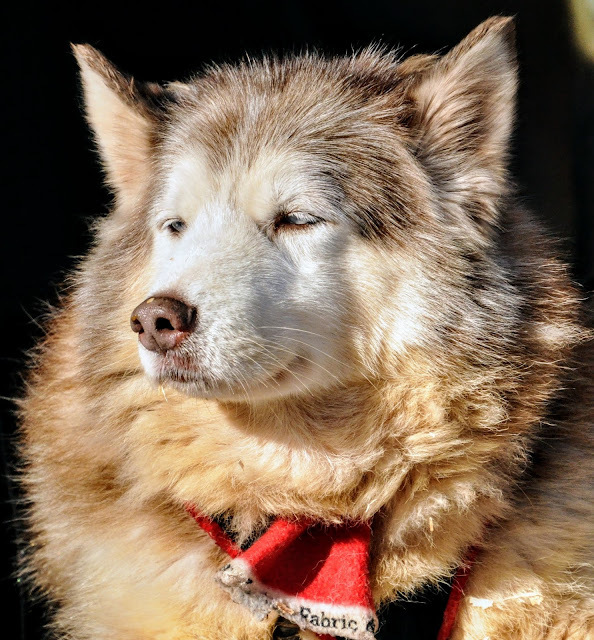 Husky breeds became popular for dog sledding when they were used by explorers such as Richard Byrd, Robert Peary and Ronald Amundsen during the golden age of Arctic exploration. When the gold rush broke in Alaska in late 1800s, demand for dogs and sleds sky-rocketed. The premise of Call of the Wild is pretty close to the truth: stray dogs in Seattle -- and probably other major cities and towns along the west coast and the northwest -- were rounded up and shipped to Alaska to be used to pull sleds since most mining camps could only be reached by dog sled once winter set in. Dogs also were used in Alaska to deliver mail into the 1900s. 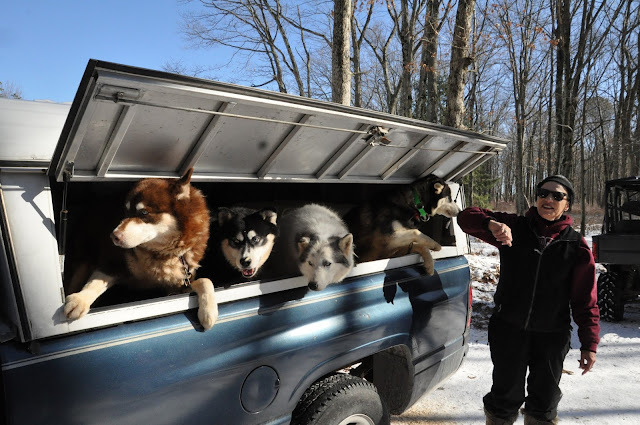 Malamutes could keep going even when weather conditions would stop horses, trains and boats. At the beginning of the 20th century, most dog sled drivers still ran or skied beside the sled instead of riding on the sled. 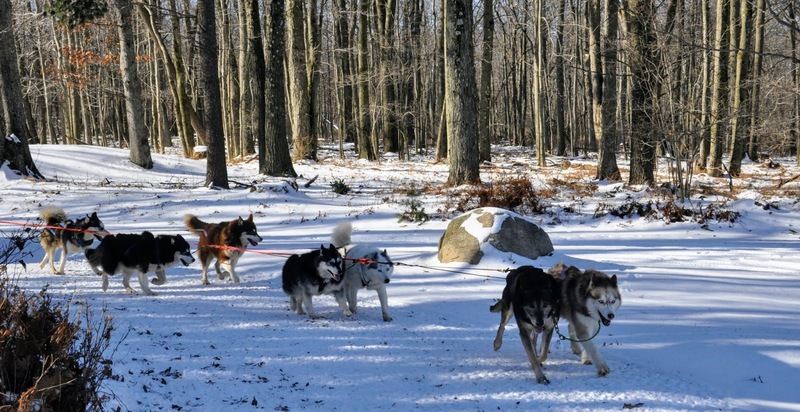 Although the Iditarod dog-sled race is the most famous, it wasn't the first. That claim goes to the 1850 race between Winnipeg, Manitoba to St. Paul, Minnesota. In 1908, the first Alaska-based dog-sled race took place in Nome. 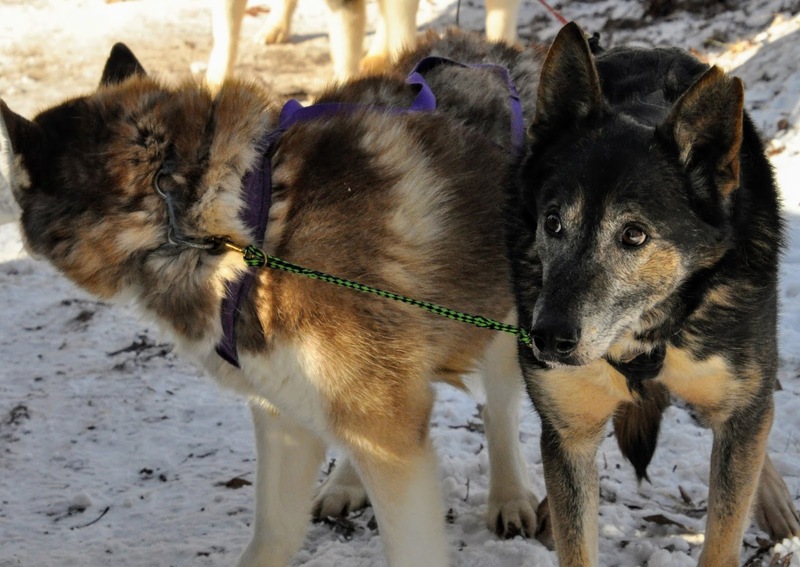 Ironically, the Iditarod race was founded in 1973, just as dog sledding had nearly disappeared. 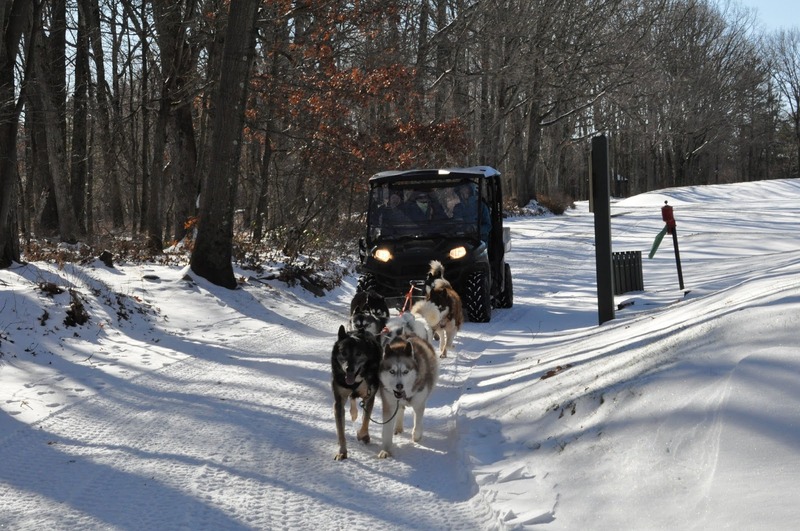 During the training run, we rode an ATV pulled by the huskies through one of Pocono Manor's several golf courses. 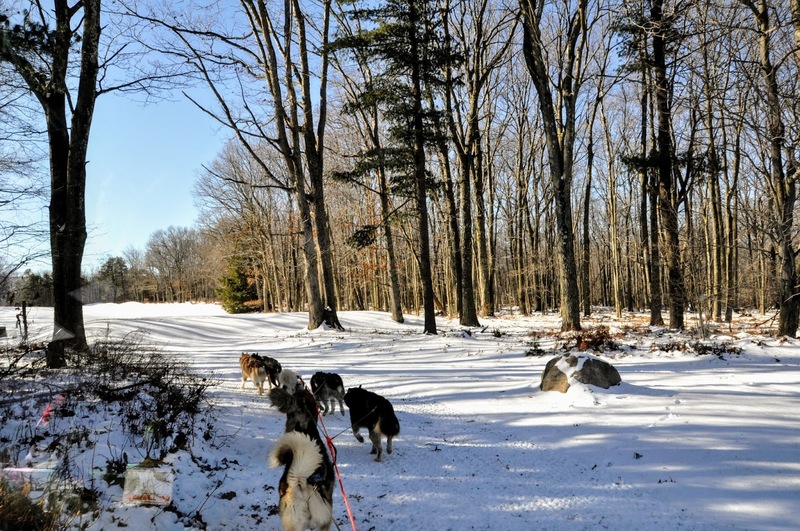 The scenery was lovely and it was fun to watch the huskies do what they love to do most -- run in the snow. Hours: Contact Arctic Paws Dog Sled Tours for tour availability and times. Follow us @midatlanticdaytrips on Instagram to find up what we're up to between blog posts! What a cutie! This pretty girl relaxes in the sun after a training run.